We design everything: Products, logos, identities, publications, posters, books, exhibitions, websites, and digital installations. You name it, we design it. Take a look around you. 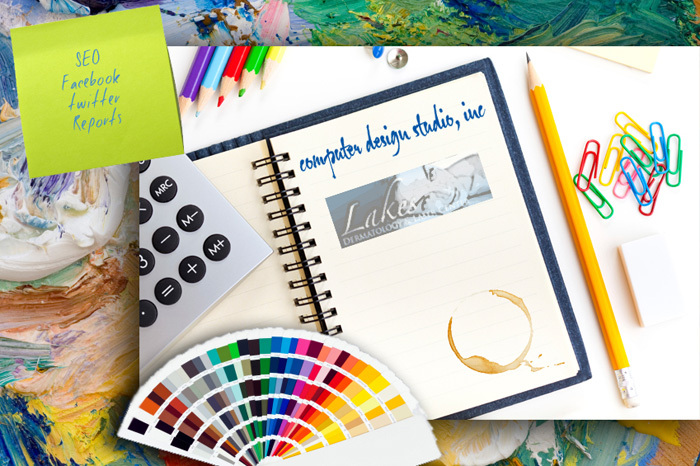 Signs, product packaging, the insignia on your backpack; it all starts with a design. We have designed for virtually every application and company imaginable and for a variety of industries, including cosmetics to heavy equipment manufacturers. We have won over 160 graphic design awards too. That means we love what we do. And others think so too. From Addy's, Illustrator Society and Communication Arts, we've been given top honors nationwide. We are specialists in print. From printing brochures to developing logos, 300 page catalogs or direct mail, we've done them all for the likes of Mandalay Bay Resort Group, Citibank or the new company just getting started. We can save your company money and time with our vast experience. We know what works and what's a waste of time and effort. When your firm hires CDS, we develop a full strategy for implementation. We consider costs of printing, delivery times and all the elements that will bring your dream to fruition. If you need a photographer for your project, or need a mailing list, our team knows just who to call. We believe you know your product/service better than anyone, so that's why we include you in the process of developing the strategy to implement the printed piece. For instance, if we all decide that the best way to reach your potential audience is to develop a direct mail piece, we create one that will break through the clutter of all the other mail pieces that are in direct competition. We are master retouchers, having altered some of the most famous faces in the nation. Often we remove a fire hydrant from the front of a corporate building, or place a better sunset in the windows, a sports scene on the TV in the den, or clean up the parking lot of trash. Change the color of a blouse or enhance a beautiful photo to make it even more jaw dropping. If you are trying to rent your condo and need an image on that flatscreen you bought specifically for the unit, call us. And, your secret is safe with us. We develop all logos in Illustrator, allowing us to deliver artwork that is flexible and sizeable to virtually any application. The process begins with our team developing 3 - 5 initial designs to get the ball rolling. At that time, we will work with your company to establish a direction that you like and within a few weeks, you'll have your finalized design. We have many samples of our work on the website. If you are looking for something specific, just ask. We can assist you in developing your marketing plan too. Tedious and necessary, but we have it down to a science. If you don't have a marketing plan, it's like trying to navigate the streets of a city that you've never visited without GPS. Why try? It's so much easier to have a plan. Plans are made to provide a direction. We work with all the mainstream programs available and in the latest editions. In-house capabilities include studio photography (yes, we can take your photo or your product's photo here) and we can produce HighDef videos for YouTube or Vimeo. It's great if you have a pretty website, but if it doesn't hold the attention of its viewers, and better yet, sell your goods or services, it's not doing its job. We know what we're talking about. We were some of the first people to open the internet in Summit County with Colorado.net. We developed hundreds of websites and the evolution in graphics and accountability has skyrocketed and we've kept pace with the industry. When we work with your company, we believe in accountability and transparency. You know what we know. We install Google Analytics, specialized software that collects information about each and every visit and we report weekly as to trends and changes in your audience. In that way, we can be an extension to your marketing department. We develop a marketing strategy to deliver the most traffic possible to your website and subsequently deliver ROI, that's measurable and trackable. We have countless testimonials and references to our capabilities. "I have never seen such incredible work delivered so quickly and on budget."